Keywords research are the key elements for any online marketing campaign and the whole process of keyword research is an integral part of any online plan and strategy.By choosing the right keyword in your hand, your customers can easily find and reach you. So, the whole game of online presence is about determining the right and profitable keyword for search engines.Thus, it is very important for you to have a sound understanding of your keywords if you want your website to be easily accessible by the leading search engines and the customers who are your ultimate target. Google’s updates come and go; they bring in a fresh perspective to search and change one practice only to replace it with newer ones which make the search eco-system better and uncomplicated.But some things never change.Like, once it was debated that the old SEO will be replaced by content marketing, which did but the old SEO ideas work even now – although with slight changes. Like keyword research. Keyword research gives you a proper understanding of your industry.You can list out keywords your industry audiences search.Doing proper keyword research helps you understand how the web works and how to culturally put your keyword at the top of SERP with properly devised optimization techniques. Before doing your SEO campaign, you need to work on important aspects of how to provide improved.To know how to do keyword research.To do proper keyword research, you need to be holistic in your approach.You need to understand which keywords to use and how to use it.For example, use keywords that most people are searching for yet the depth of competition is relatively low in the field. What is the meant by keywords analysis: Keyword analysis is the point from where the journey of online search marketing starts.It is actually the understanding of the most probable queries that a net surfer can type on his search engine portal; a website developer can increase the visitor traffic by studying it and optimizing the website according to this.So the deep and sound understanding keyword analysis is compulsory for SEO and the PPC technicians. 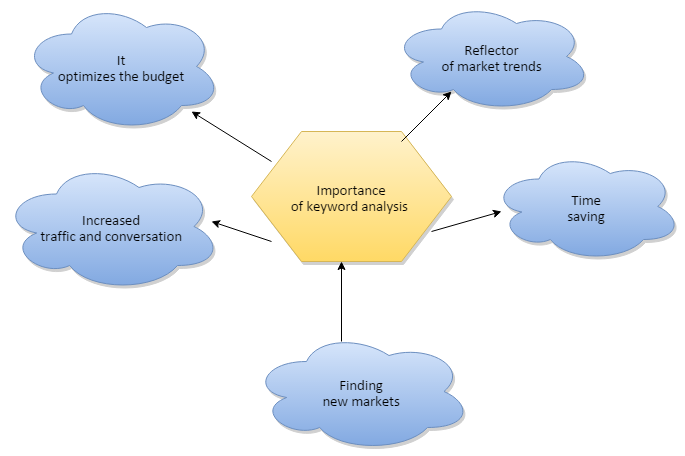 Keyword analysis is very beneficial for finding new markets and getting the best return on the investments, but on the other hand, it requires a detailed and time taking decision-making as well as a keyword examination practice.Today, there are many useful keyword analysis tools are available to facilitate the keywords analysis and making it further effective by suggesting the best activities and automation ideas. 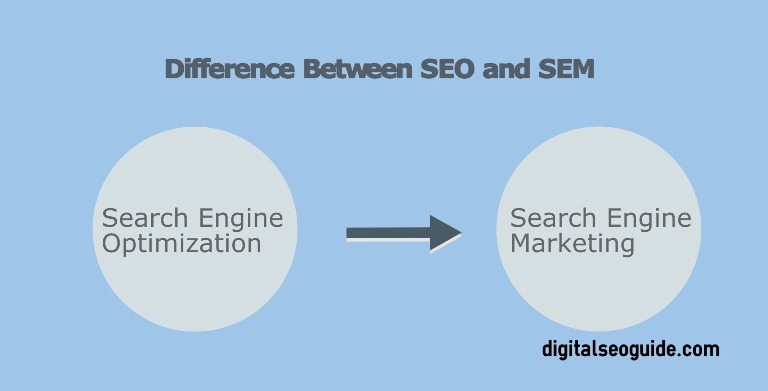 While marketing is an analytical process; its performance and outreach is the prime element that optimizes the allocated amount and market reach.Online search marketing does not differ from it.The well-designed keywords are the soul of the search engine optimization and keyword analysis is the center of all planning and strategy designing. It optimizes the budget: With proper keyword analysis you can find out the successful and productive keywords and pay more attention and budget to them. On the other hand, you can eliminate or list out the not so popular and nonproductive keywords. Increased traffic and conversation: This analysis is the best way to identify the keywords that are actually working and by placing them in focus you can surely increase the online conversation rate on your website and assure the best return on your funds. Reflector of market trends: While you analysis the trends in keywords search frequency you can easily get the inside understanding of the ongoing market and business behavior.Once you get the nerve of the aspects of the market, you can optimize your efforts according to it. Time saving: By knowing the most preferred keywords you can easily understand the points to be paid more concentration, attention and time.It saves time and increases the results at the same time. Finding new markets: A successful keyword analysis shows the path of finding new queries and ways of warm corresponding leads. The main aim behind the whole process of keyword research is findings and figuring out the set of words that the potential clients type while searching for information. While you are setting up the keywords, this process includes trials and errors in the same amount and once you understand the basics, it is easier to deal with.Let’s start the journey that will show you the path of understanding and researching that what your ultimate customer is searching.Once you discover the right keywords, it will be very easy to rank your website on the higher position on the Search Engine Result Page (SERP). Classify the important topics: First of all you need to understand your business and then list out the important and relevant topics based on it.You should come up with 8-10 topics that can be used in setting the terms of keywords.While you are a regular blogger, these topics may relate to the subjects you often use to write.And in the case of a shoe dealer, these can be the topics that are the usual subjects of the business conversations and dealing terms.For example, “best shoes”, “sport’s and running shoes” or “fine formal shoes” etc. Set keywords using the topics: Now, pick some of these topics that easily grab the attention and can be fitted in any keyword phrase, you think can pump your website to reach at the higher ranking of SERPs.It is because the potential customers start searching by typing these keyword phrases in their search box. And the list may go on and on.Remember, these keywords are not final; you need to take some more pressure on your mind to shortlist them and focus on what your customers may possibly use to type when they need to know about supply and availability of shoes.Also, the online marketing campaign is usually adopts two or three maximum keyword phrases. Take a look at the existing keywords in the web universe: Each day many keywords are introduced on leading search engines such as Google, but you can come up with the idea that what are the keywords for which your website is already searched and found.You can have the help of Google Analytics or any other analysis portal like, http://www.hubspot.com/products/analytics.Through this analysis you can have the idea of the popular keywords phrases.One more interesting source of keyword research is your sales and service staff, as they are directly connected with the customers they may have the clear understanding of what the customer may ask while looking for a good deal. Research for related search terms: While your intention is about researching the keywords that people are looking around for a specific topic, so you are advised to go to google.com and type the keyword and you will get the suggested list of related keyword phrases about the topic.These suggestions can give you an interesting idea about developing a rather new keyword term or phrase. Long tail keyword or mix of head term: Firstly, find the difference between these two terms.The shorter and more generic keyword phrases are known as head terms, usually they are of length two or three words.On the other hand, long tail keywords reflect their name and are stretched to more than four words or a sentence. Check your keyword is mix of head term type or a long tail term as the online keyword marketing strategy is highly influenced by it. Where can I buy the quality sport shoes in New York. In the very first look, we can find that the first option is mostly used term, but the second term shows the sincerity and seriousness of the visitor.As per advised by the online marketing experts your keyword strategy must be an intelligent mixture of both head term keyword and long tail keywords. Watch the competitors keyword strategy: It does not mean that you have to follow or copy them, it is just about understanding their keywords and then developing your own a better-some keyword strategy.If you feel that because of their specific keyword’s plans, their ranking is higher than yours, need to make extra efforts to improve yours.Take it as an opportunity to understand the competitor’s plan and preparing the answer. Once again maintain the balance between the long tail and mix head keyword because your ultimate goal is to find and apply the keywords that are capable to give you the quick wins as well as fulfill your bigger, challenging marketing goals. Now, where to find the competitor’s keywords for them search engines are rating them? Yes, you can read their content and search manually, but there is another way to see the position of your competitors on SERPs. http://www.semrush.com/ is a very facilitating site that reports the status of the domain name you entered.This is the easiest, smarter and quick way of finding the terms of them and also their competitive position. Cut down your keywords list: At this stage, you have the right mix of keywords terms and with the support of some quantitative data, you can cut down the list and make it more worthy and resourceful.A great number of online tools are here to provide required assistance and guidance.The best option is provided by Google as https://adwords.google.com/KeywordPlanner that can be applied singly or can be mixed with some other tools to get the desired results.With these keywords tools or apps you can easily shortlist your keyword terms on the basis of visits, ranks, difficulty and the competitors performance on same type of keywords etc. The above keyword research tools and sites are very helpful in narrowing the wide list of probable keywords, but also help you to determine the keywords that can get easily rank up words and grab the attention of many eyes. And….finally it is done: After a long process and passing various steps you have the final list of the keywords that focus on the right topics for you and your business and also support to achieve your short term and long term goals.But, the task is not over here; you need to re-evaluate these keywords in every three or four months so that you may justify their performance, potential and possible amendments. As you are gaining more compatibility and expertise with SERPs, you can continue this keyword research and add some more profitable and relevant keywords to enhance your online business marketing and promotional strategy.Development and improvements have no limits so keep on researching, amending and beneficiate your organization in the tough marketing competition scenario. 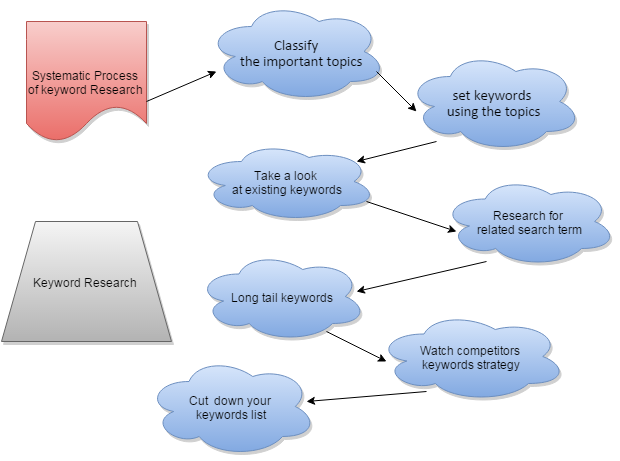 So, Here are Your complete smart guide to perform a keyword research, by using this keyword guide you can understand the keyword research process for your business and if keyword research done in a proper way then you will achieve good results in google search and get more leads for your business.While we talk about different other aspects of keyword research in upcoming articles, if you have any query related to this keyword research smart guide then please comment on the article.